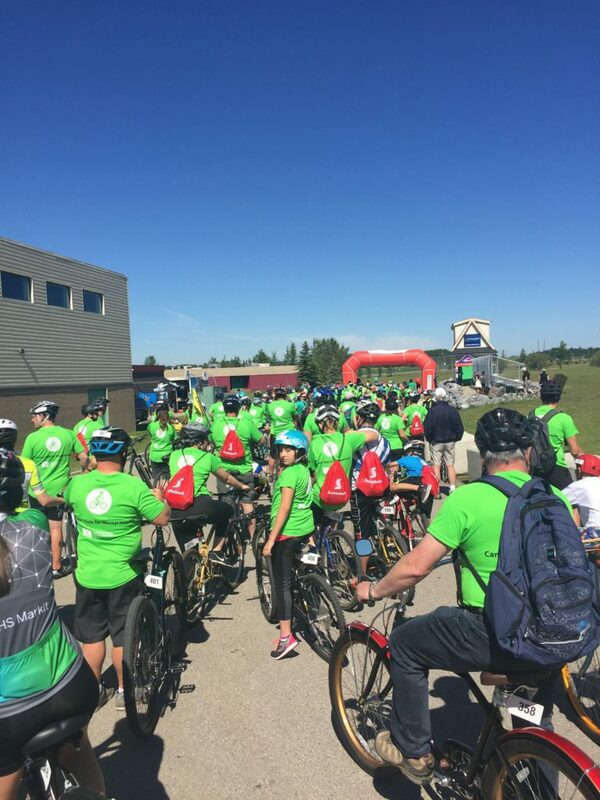 Last Sunday, June 25, 2017, CSP rode as a team in the Ride Don’t Hide Calgary event, hosted by the Canadian Mental Health Association – Calgary. This event brings awareness to the issues of mental health and suicide, and encourages open conversation and help seeking. The event also raised money for CMHA Calgary and CSP. We received funds from our own team as well as the 100 Men Calgary team. 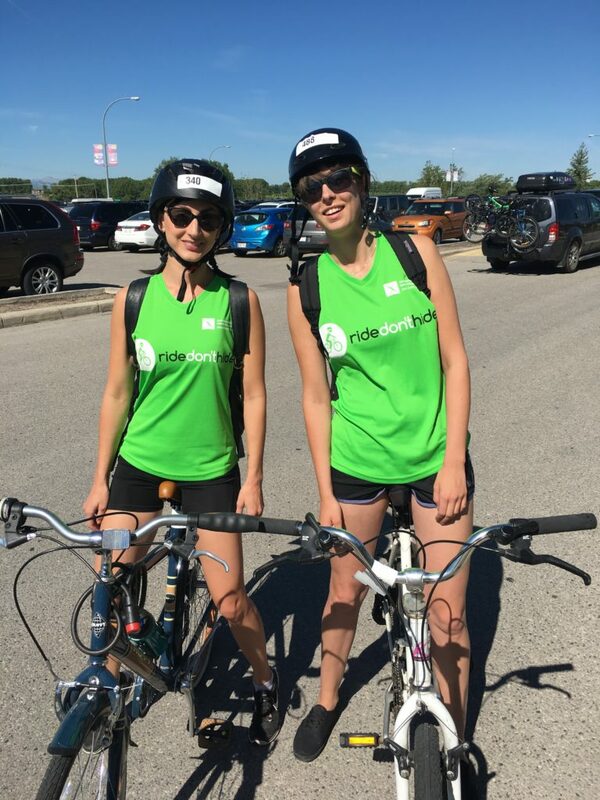 It was a gorgeous day to ride, and combined our team rode 120 kilometres in the sunshine! Tammy Bogdane, Crystal Walker and Mara Grunau (not pictured) rode 20 km! 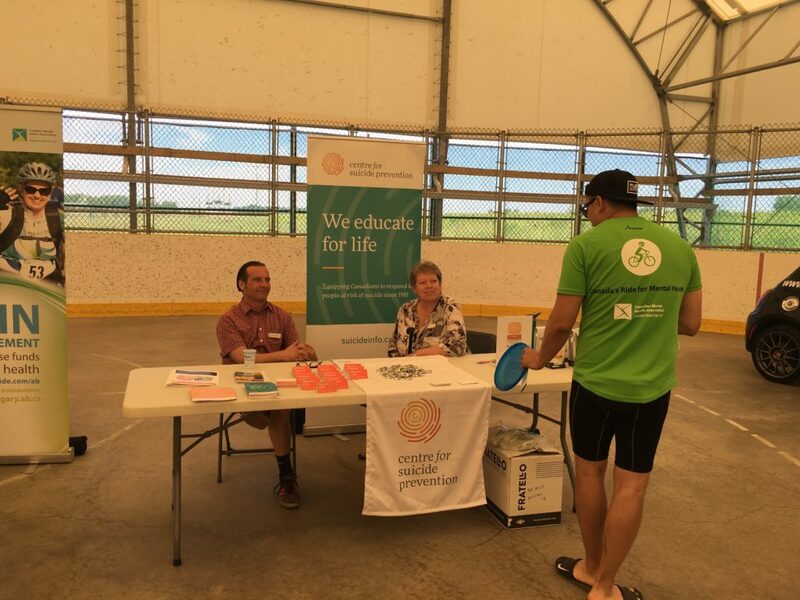 Robert Olson and Hilda de Boer represented CSP at a booth for Ride Don’t Hide.